Latest UBI Notification released Apply for 100 UBI Forex Officer, and Integrated Treasury Officer vacancies before the last date, i.e., 13.01.2018 through online. Scroll down for Union Bank of India Recruitment 2017 complete details. Union Bank of India Recruitment 2017 Notification will be issued very soon. Refer Union Bank of India Latest Vacancy Details. Have a look at UBI Upcoming Notifications 2017. Eligible and interested candidates can apply online for Union Bank of India Clerk, Probationary Officer, Specialist Officer & Credit Officer Vacancies on or before the last date. Also, refer the details regarding UBI Credit Officer Age and Qualification Criteria, Important Dates, Process to Apply, Selection Process, Application Fee, Pay Scale, etc. in the below sections. You can also check the Union Bank of India CO Syllabus, Previous Papers, Admit Card, Result, etc. Are you aspiring to work in Banking Industry? If so, then we are happy to inform all the job seekers that the Union Bank of India provides numerous opportunities every year for the eligible candidates. Job seekers who are fed up with their unemployed career can apply for Union Bank of India Upcoming Exam 2017-18 depending on their eligibility. Individuals can apply for either Clerk or Probationary Officer or Specialist Officer or Credit Officer or Head Treasury by logging on to the Official Portal, i.e., m.unionbankofindia.co.in. Every year, UBI releases various Job Notifications to shortlist dynamic aspirants for different positions. Recently, Union Bank of India has released a Latest UIB Specialist Officer Recruitment Notification to recruit 100 Forex Officer and Integrated Treasury Officer Jobs. So, interested candidates can apply for Union Bank of India Recruitment 2018 through online. The online application forms will be available from 20.12.2017 to 13.01.2018 @ unionbankofindia.co.in. For category wise vacancy details check official Union Bank of India Specialist Officer Recruitment Notification 2017. Post wise eligibility criteria are tabulated above. Interested candidates who wish to apply for Union Bank of India Career should meet the eligibility conditions. For further more details like essential dates, selection process, application fee, and pay scale of Union Bank of India Integrated Treasury Officer Recruitment 2017 check below. The appointed candidate for the post of Union Bank of India Forex Officer, Integrated Treasury Officer, will get a pay of Rs. 31,705/- to Rs. 45,950/- per month. The wannabes who are willing to apply for Union Bank of India Career need to pay above fee towards application fee. On the home page click on the “Careers” tab. In the careers page select the Recruitment Link. 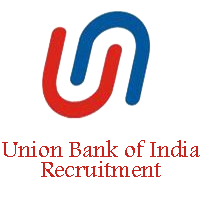 Now select the “Apply online” link under Union Bank of India Specialist Officer Recruitment. Then select the “Click here for registration” button. Enter the details in the application form of UIB SO Recruitment 2017. Proceed to pay the application fee and click on “Final Submit” button. Finally, take a printout of application form of Union Bank Recruitment for reference. Union Bank of India, one of the Public Sector Banks in India, was established on 11th November 1919. It has its headquarters in Bombay City which is known as Mumbai. The United Bank of India Head Officer was inaugurated by Mahatma Gandhi in the year 1921. He has spoken few words on the occasion that “We should have the ability to carry on a big bank, in order to maintain the crores of rupees efficiently at the time of our national activities. Though we have very few banks with us, it does not imply that we are not able to manage crores and tens of crore of rupees efficiently”. UBI has over 4,200+ branches across the country. The Bank has shown the uninterrupted profit during all the 96 years of its operations. Union Bank of India has been playing a vital role in the economic growth of India. It also extends credit for the requirement of different sectors of the economy. The Bank has deployed credit in various sectors like Exports, Industries, Infrastructure, Trading, Agriculture, etc. The resources are mobilized through Savings, Current, and Term Deposits and through refinance and borrowings from abroad. Union Bank of India has a large clientele base of over 5.7 crores. With an intention to provide Job Opportunities to the jobless youth, Union Bank of India has come up with various Employment Notifications so far and a huge number of interested contenders have applied successfully. Postulants can also have a look at other details of UBI Current Vacancy 2017 like Age Limit, Educational Qualification, Important Dates, How to Apply, Application Fee, Selection Procedure, Scale of Pay, Syllabus, Previous Papers, Admit Card, Answer Key, Result, etc. in the following sections of this article. We all know that the Officials of Union Bank of India will release Notifications for various designations once in a year. The list of jobs that are offered through UBI Recruitment 2017 is provided in the below sections. Here is a good news for all the job seekers who have completed their Graduation. Union Bank of India has issued a Notification to fill Credit Officer Vacancies. Contenders need to check their Eligibility regarding Age Limit and Educational Qualification in this article. Eligible candidates should apply for the Union Bank of India Recruitment 2017 Credit Officer prior to the last date, i.e. 21st October 2017. Applicants who fulfill the required eligibility conditions of Age Limit and Educational Qualification will only be eligible to take part in the Recruitment Process. Contenders should possess Bachelor’s Degree in any discipline securing minimum 60% aggregate marks from a Recognized University or Institution or Board recognized by Government of India, i.e. Government Regulatory Bodies. How to Apply for Union Bank of India Credit Officer Recruitment 2017 Notification? Individuals must visit the Official website m.unionbankofindia.co.in and click on the Union Bank of India Recruitment 2017 Online Application Link. While filling UBI Online Application Form 2017 for Credit Officer, candidates must follow the instructions carefully. Candidates who belong to General/ OBC category should deposit Rs. 600/- towards Application Fee. Applicants of SC/ ST Category need to pay an Application Fee of Rs. 100/-. With an intention to recruit eligible and interested aspirants for Clerk Vacancies, Union Bank of India Officials is going to release an Employment Advertisement. Candidates who have successfully applied for Union Bank of India Clerk Vacancy 2017 must have a glance at the Syllabus of Union Bank of India Clerk 2017. By having a look at all the topics involved in the Syllabus, participants will gain knowledge. To make the preparation much effective, candidates must put the topics into practice. Due to that reason, we have provided the Union Bank of India Clerk Previous Papers 2017. Participants can know the complete details of Union Bank Clerk Jobs 2017 from this article. Candidates who are waiting for the release of Probationary Officer Jobs in Union Bank of India has a good news. The Conducting Authority will publish Union Bank of India Probationary Officer Notification 2017 soon on the Official Portal of Union Bank of India, i.e. m.unionbankofindia.co.in. All the interested contenders who wish their designation as PO should not miss this chance and apply for Union Bank Vacancies 2017 PO prior to the due date. Successful applicants of Union Bank of India Recruitment 2017 need to have a perfect preparation plan to crack Union Bank of India PO Recruitment 2017. We will update the Online Application Link whenever it is available. Yearly, Union Bank of India will release the Latest Advertisement of Union Bank of India Recruitment 2017 with a motto to appoint eligible and dynamic individuals in vacant Specialist Officer positions which include Branch Head, General Administrative, Retail, Information Technology, etc.. Candidates who have an academic background in core and those who are looking for Jobs in Private Sector Banks must go through the Complete Union Bank of India Notification 2017 before applying for Union Bank of India Special Officer Jobs 2017. If you have any queries or doubts regarding Union Bank of India Recruitment 2017, then you must stay focused on our website www.entranceexams.io.